Cherry Lakes, started life as the Lake number 2 of the Cotswold Water Park. Originally one large gravel pit, also incorporating the neighbouring Wildmoor Fisheries, the individual lakes were created in the 1980′s when a series of bunds were driven across the pit to create three lakes including what is now known as Cherry Lake and Cherry Springs.. Previously known as Rainbow Lakes, they were re-named in December 2011 when the property was bought by the current owners. Rainbow Lakes was not run as a commercial venture by the previous owners. Several syndicates of Carp anglers over the previous 10-15 years enjoyed catching Carp from the gin clear waters of the heavily weeded Rainbow Lake. As one of the original lakes on the water park, Cherry Lake is over 50 years old. 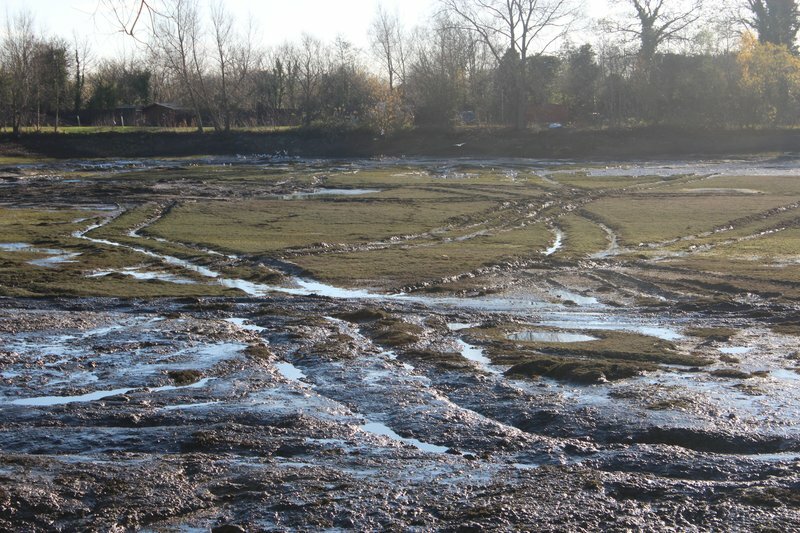 Over the course of 6 weeks in November and December 2012, over 50 million litres of water were pumped out of the lake, with all the fish being moved to the connected Cherry Springs. 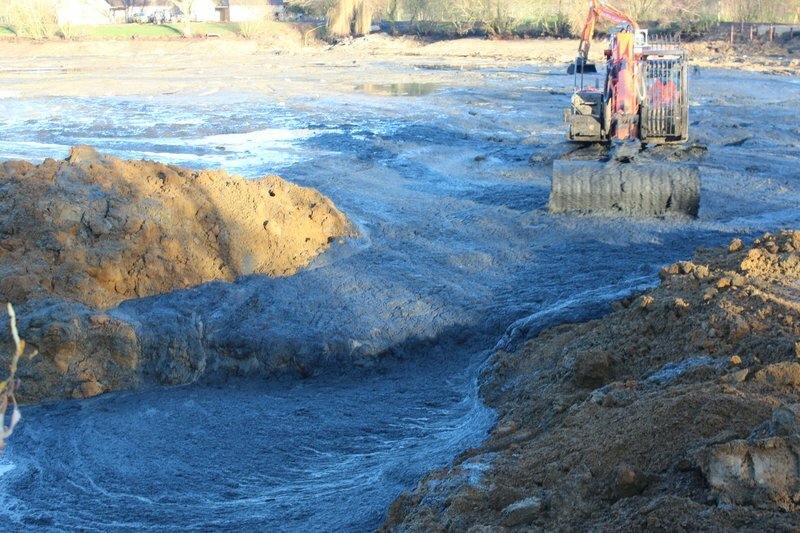 The project was not straight forward and we were very surprised by the amount of silt. We could now clearly see why the weed had been so prolific in the past. The high quality local water, the shallow nature of the lake, the silt, and the aggressive fast growing nature of the Canadian pond weed all combined to create underwater jungles. The solution was to create a gravel wall behind which a bowl shape was created and into which the silt of the lake could be pushed. This created the 'shallows' which can be fished from Grebe and Osprey Lodges. In normal summer water conditions there is around 2-3 feet of water above the shallows and it is around 6-7 feet deep at the bottom of the gravel wall. 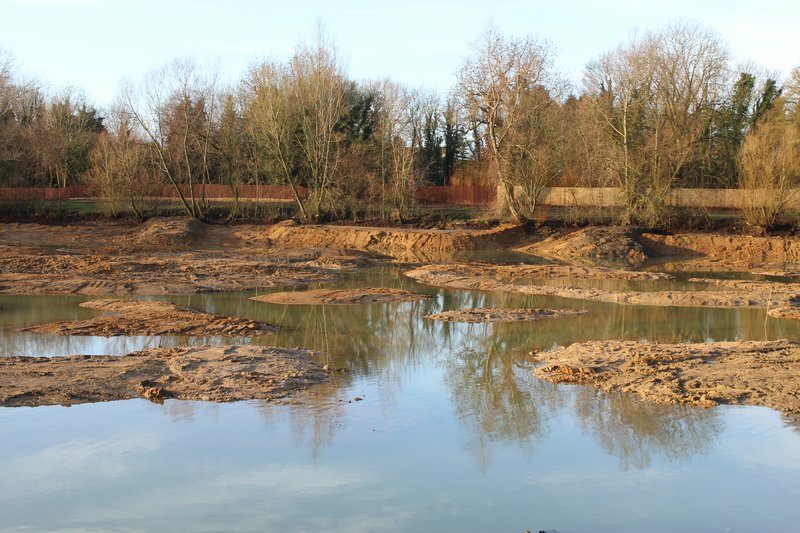 We also used the same technique of creating a holding gravel bar and filling behind with silt to create some marginal shelves. To ensure these areas were not too soft, Siltex was added throughout the winter after the lake had refilled. Now it has the perfect texture which the Carp just love feeding in, as well as sunbathing over. The Shallows and the retaining gravel wall. 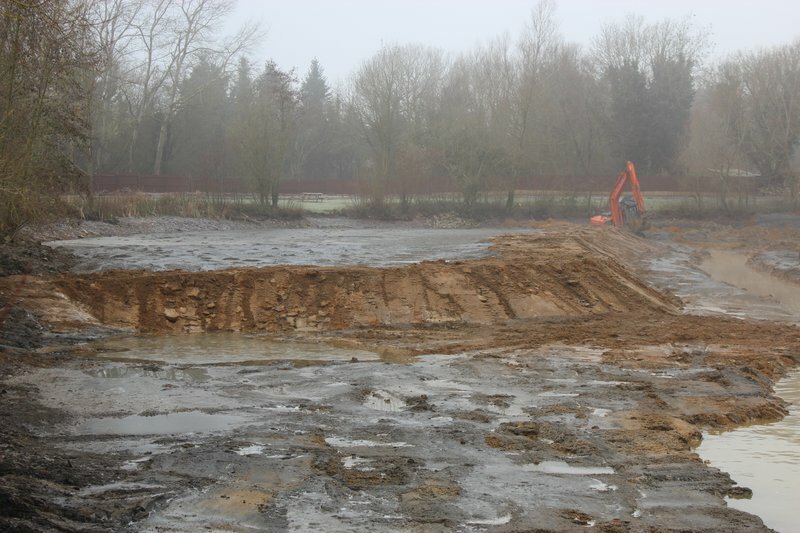 Two large diggers moved vast amounts of silt and other materials to create a very new topology for the lake bottom. 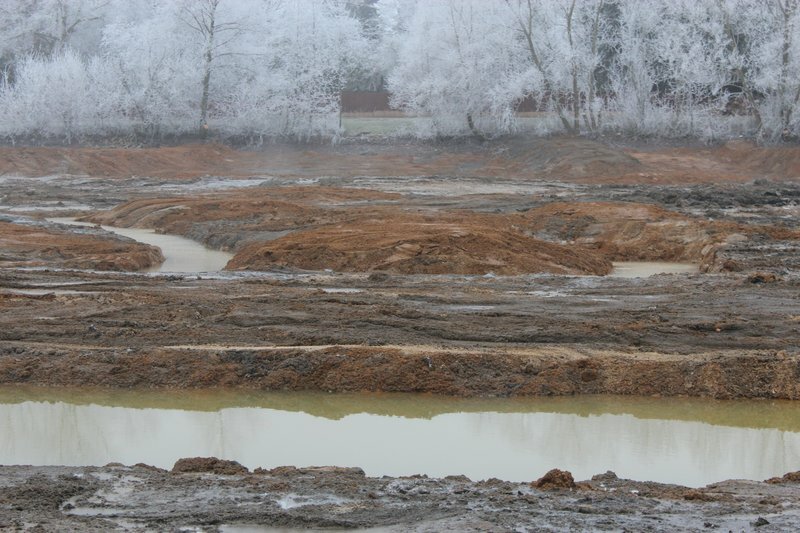 No longer can you see vast areas of featureless silt. Now you can see a clean lake bottom with plenty of features throughout the area of the lake. The view from Osprey Lodge. A nice clean bottom! We believe the lake restoration was a real success and we have been largely successful in creating a productive and interesting Carp fishery. Since cleaning up the lake we have regularly used blue dye to control the amount of weed. getting the balance right between acceptable amounts of weed and no weed is a challenge. It is hard to stop the pendulum in the right place! Without undertaking this massive project we are convinced that the Cherry Lake fishing experience into the future would have inevitably fallen short of what we are trying to achieve, thereby undermining our objectives of creating one of the UK’s leading Carp fishing holiday venues. Judging by the comments of many of our guests over the 6 years since we opened Cherry Lakes, the lake restoration project was well worth doing. Looking down the lake from the Cottage swim. The marginal shelf and drainage channel are clear to see.